You bury me when I'm alive, and dig me up when I die. What am I? 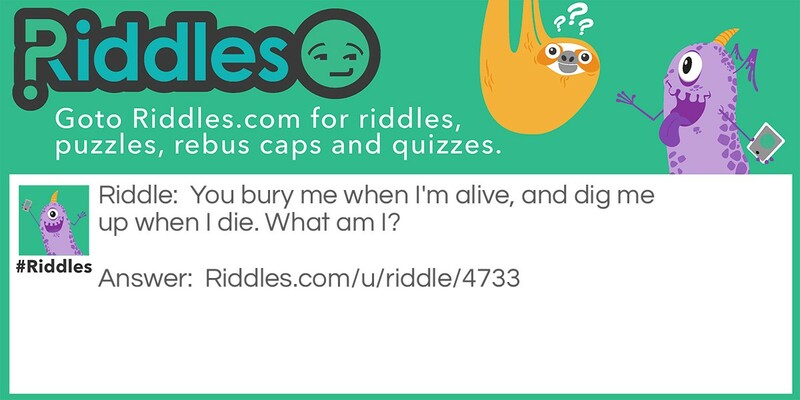 Bury Then Dig It Up Riddle Meme with riddle and answer page link.